I’ve been reviewing the blog lately and thinking about the progress of my trees and material in the past year. An ideal scenario would be that everything is a year better in development but unfortunately that’s not the case. 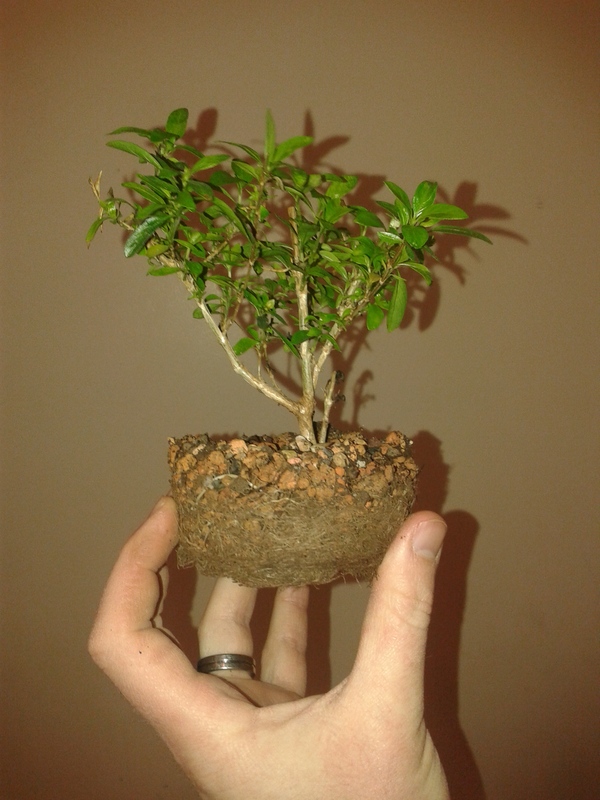 It’s the Belfast City Autumn Show this weekend and I remember thinking last year that I would like to have a few more things to enter in the bonsai classes at the 2015 event. For various reasons, I don’t, and next year hopefully I can enter more than my same usual 2 or 3 trees. But there has been noticeable progress with other material still in development and that’s encouraging. 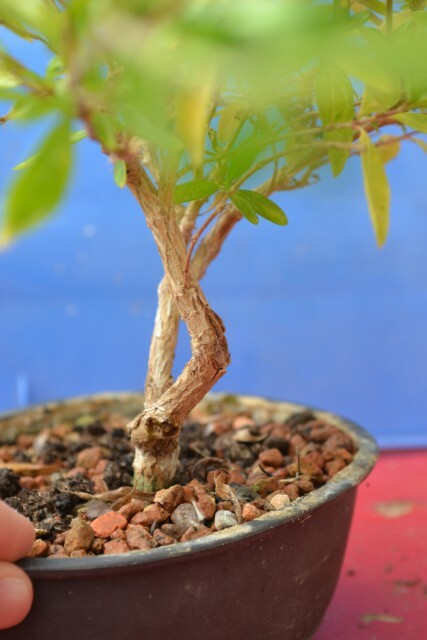 I have to sometimes remind myself that I’m choosing the long route in bonsai and things do take time to transform from garden/seedling material to competition ready bonsai trees. 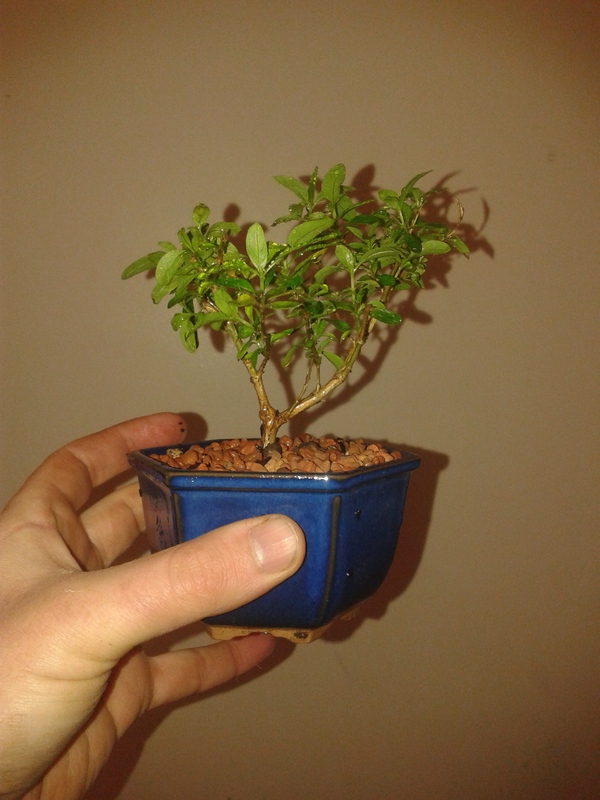 This shohin sized Serissa Foetida is coming on well after a year of clip and grow techniques. Another trunk has also unexpectedly popped up and I’ve decided to utilize it so that I now have the beginnings of a twin trunk indoor tree. 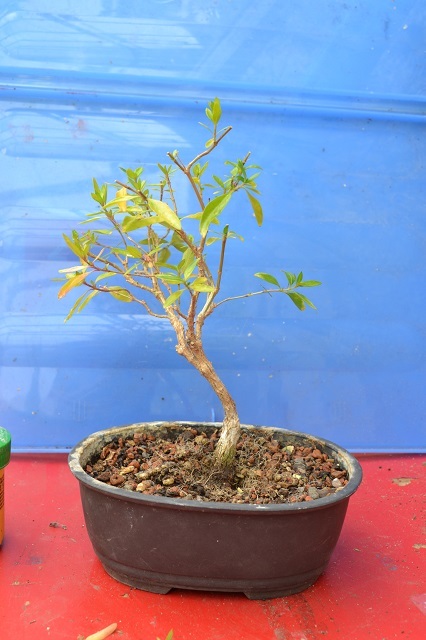 August 2014 after a hard prune. August 2015. A new front and a minor trunk in development. Hopefully this time next year it’ll look even better in a ceramic pot (anyone got a spare bright yellow oval?) and with taper in the minor trunk. I’ll continue to clip both canopies to improve ramification. Ah well, there’s normally at least one casualty each year but at least they are getting fewer and I’m trying to learn from my mistakes. 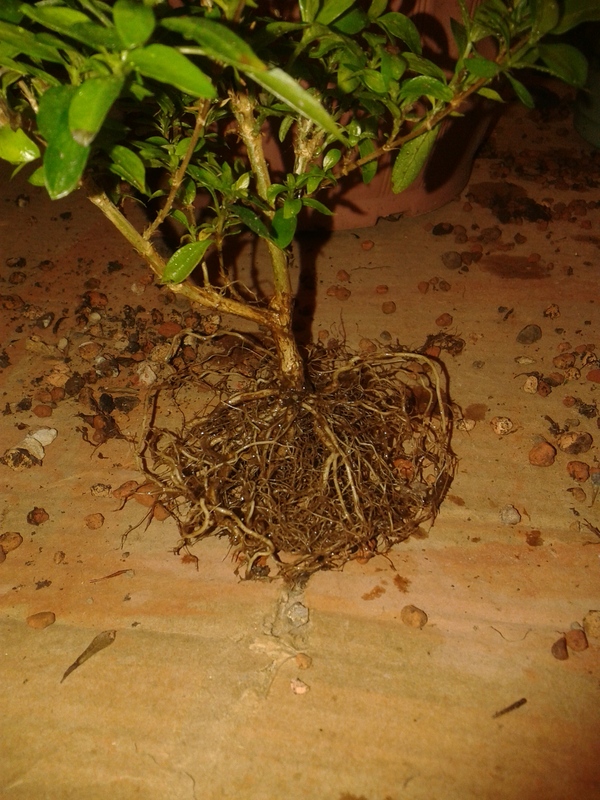 This little serissa foetida cutting from a previous post has died after repotting/rootpruning earlier this year. It was a softwood cutting from a parent bonsai two years ago and I had hopes to create mame bonsai from it but I must have repotted it too early in the year. I thought it would be safe because it was an indoor plant but I suppose the house was still too cold for it! I want to repot the parent tree this year but hope I haven’t left it too late as it’s been putting on new growth for a while now. 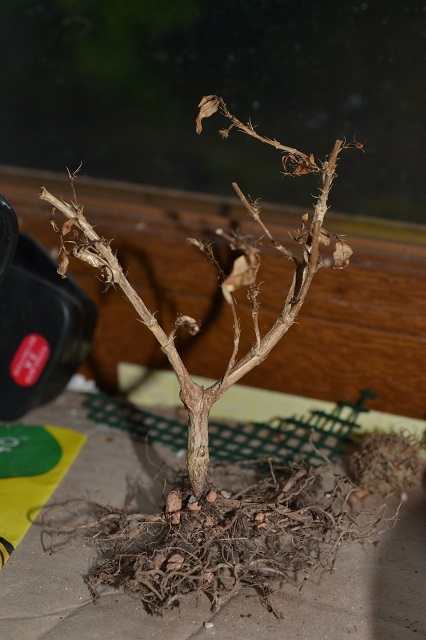 Any advice anyone hasd on repotting indoor trees would be appreciated! In the meantime, this one joins the ‘RIP’ folder on my computer. First bit of repotting for this year was at club night on Friday. 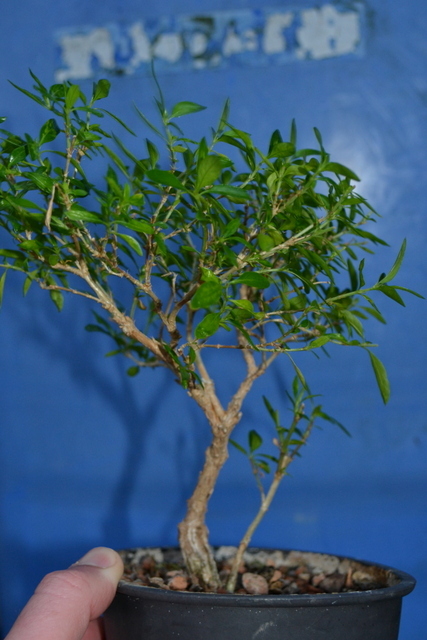 This is a two year old cutting from a Serissa Foetida , a popular indoor bonsai species. 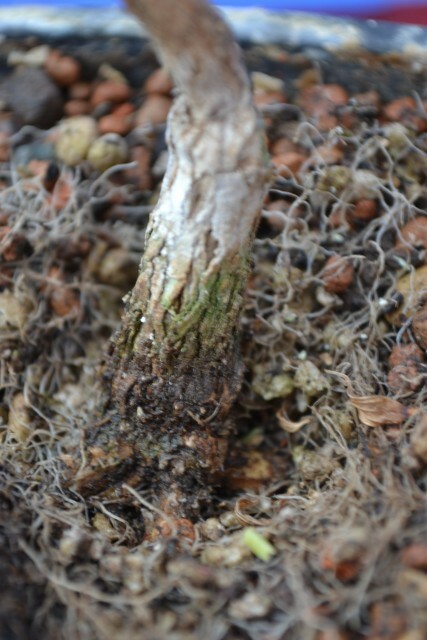 The roots were spread and any upwardly growing ones removed. The thicker ones were shortened. Into a deeper than normal pot for training purposes. The straight trunk removed. 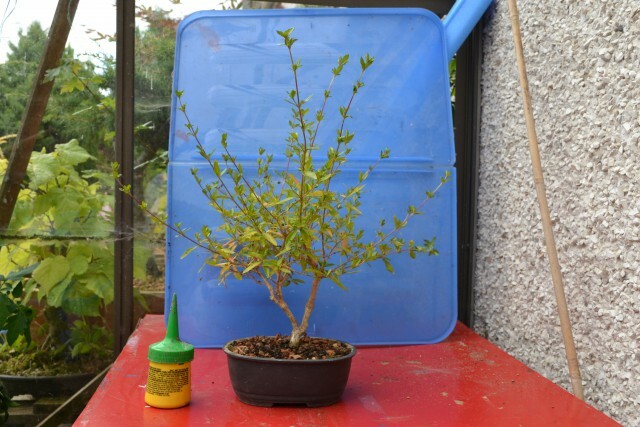 Hope to make a nice wee mame bonsai out of it in future.